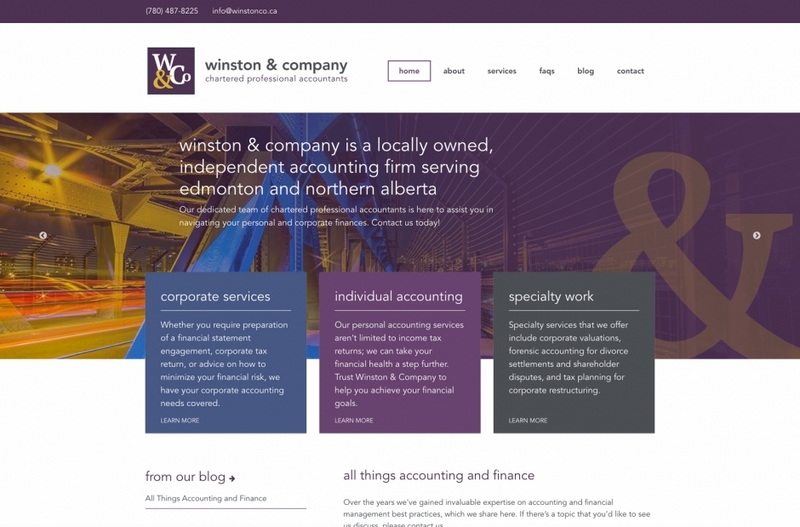 Winston & Co. is a locally owned, independent accounting firm serving Edmonton and Northern Alberta with a range of personal and corporate accounting services. 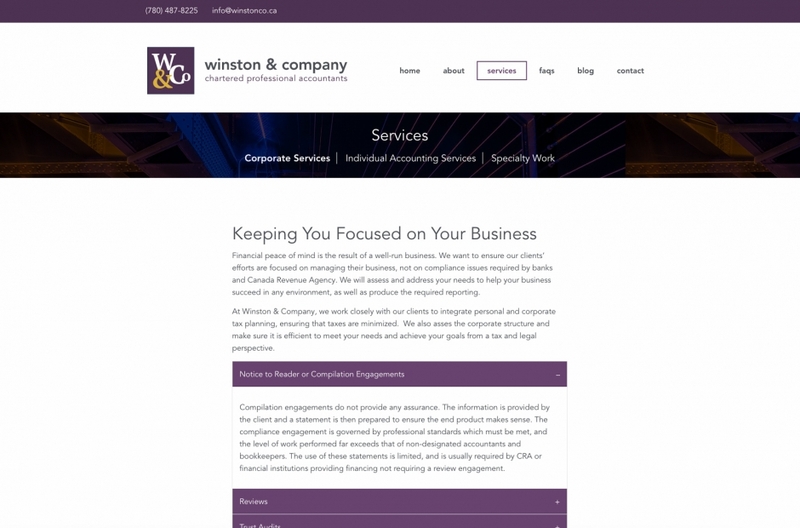 Project Summary: Pixel Designs developed a new brand identity and accompanying website design for Winston & Company. 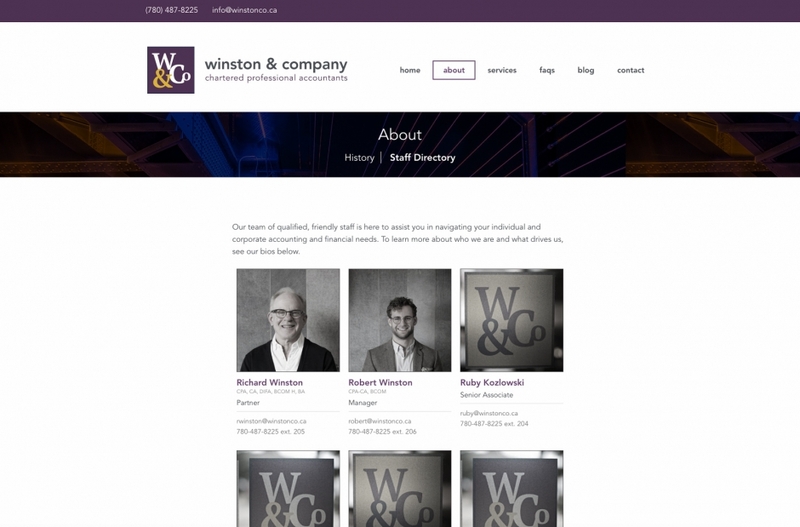 We then built their new custom responsive website on WordPress to allow them to easily update their site.